Brassmere Academy for the Extraordinary is a school for orphans with strange and wonderful gifts. 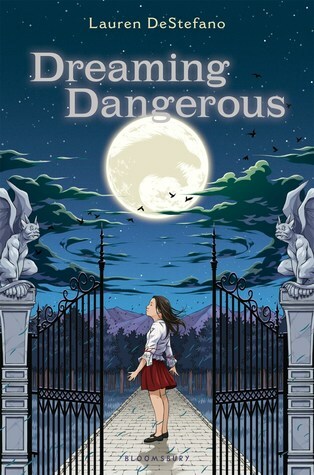 Twelve-year-old Plum has lived there forever, and each night, she ventures into her dreams alongside her three best friends, Vien, Gwendle, and Artem, to fight monsters and journey on dangerous quests. But one night, Plum gets a mysterious warning that she and her friends are no longer safe. And the next morning, Artem is nowhere to be found. As Plum, Vien, and Gwendle search for their friend—in both the dreaming and waking worlds—they start to uncover alarming secrets about Brassmere and its intentions. Will they be able to find Artem before it’s too late, or will they be next to disappear?